i rock paper and scissors: Summertime Memories | ADORNit & a Giveaway! Summertime Memories | ADORNit & a Giveaway! 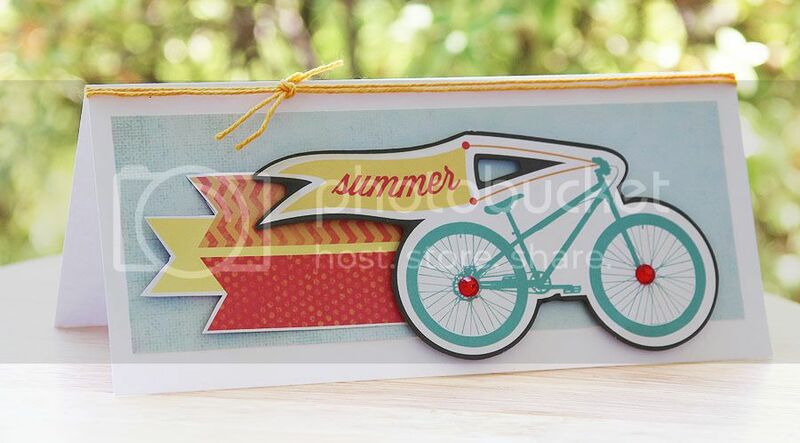 I've been Guest Designing for ADORNit this week, and have my last two projects to share with you today, both using the "Summertime Memories" collection. First up a cute but quick and easy card that's perfect to send to a friend to let them know you are thinking of them. I started with my card base, and added a small rectangle of blue paper. Next I fussy cut the banner flags, then added the darling bicycle die cut. To add a bit of sparkle, I adhered rhinestones to the center of the tires, then topped the card off with yellow twine. Summer is all about enjoying the outdoors, and what better way than having friends over for a bbq! Here's a quick and easy to make invite. 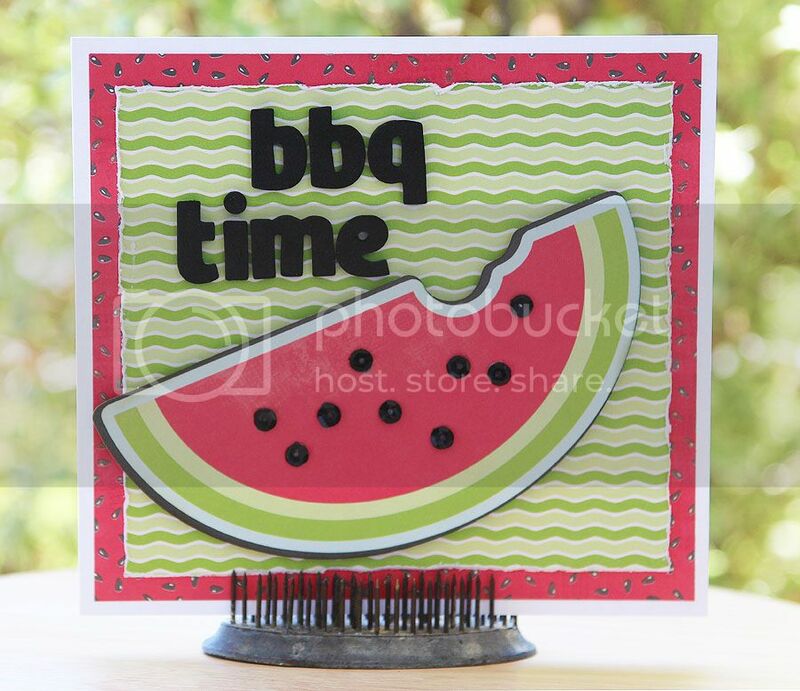 Next come the watermelon die cut, to which I added some black sequins for a bit of shine. How about winning the new Wisteria collection I shared with you on Monday?? Just leave a comment for a chance to win!! Thanks so much to all the wonderful ladies at ADORNit! I've had a great time guest designing, and I've loved being able to play with all your beautiful papers and super cute embellishments! These are SO super cute! Great designs! These are really fun cards, Mary Ann! !